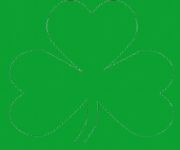 Need an Irish Shamrock Template? If you need a shamrock template to help you get ready for St. Patrick's Day, an Irish celebration or party, then these should serve your purpose. If you have some green paper to print to, then choose from the black and white templates. If not, and you have a color printer, you can just print the green ones. 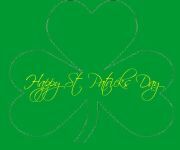 The shamrock is by far the most popular symbol of Ireland although the Irish harp is the official symbol of Ireland. It appears on all government documents and on Irish minted euro coins. When the Irish State was founded in 1922, in order to distinguish the Irish harp they chose from that associated with GUINNESS®, they turned the harp in the opposite direction! 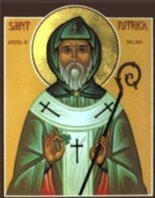 Find out about the origin of the shamrock on our Shamrock symbol page. 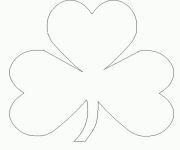 We also have a special St. Patrick's Day Shamrock colouring page for the kids.